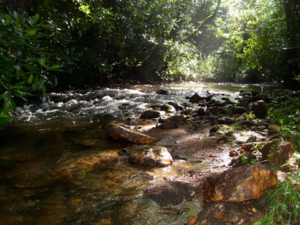 Bold Laurel Fork Creek, a native trout stream. Escape to paradise just off the Blue Ridge Parkway in beautiful southwest Virginia. This is a "Prepper's dream with lots of water, wildlife and privacy, yet close to everything! One of a kind! 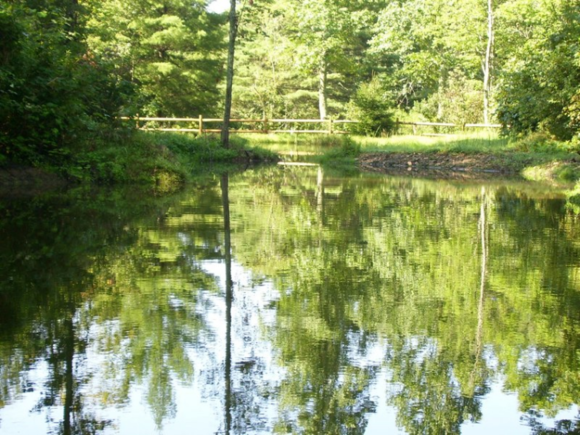 A tranquil and pristine eight plus acres all to yourself. Woods, water and wildlife! 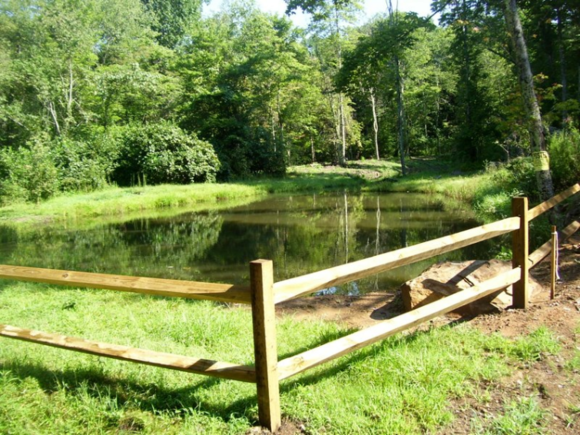 Laurel Fork Creek, a native trout stream, runs through the property, plus there are springs and a large, stocked pond for fishing and enjoyment. 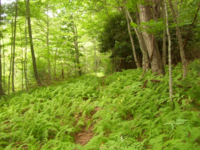 Hike the wooded trails to observe the abundant fern and flora. Pick berries and fruit from the grapevines and trees. The fruit trees bear apple, pear and other hybrid varieties. 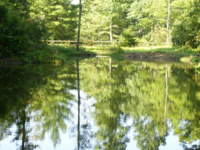 This is the "preppers" dream: water, fish, wildlife to be self sustainable, and, of course, its very private! 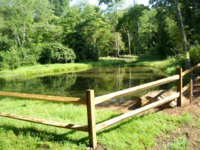 Build your dream home on the already cleared home site overlooking the pond and stream. Or bring your tents and camp under the stars. 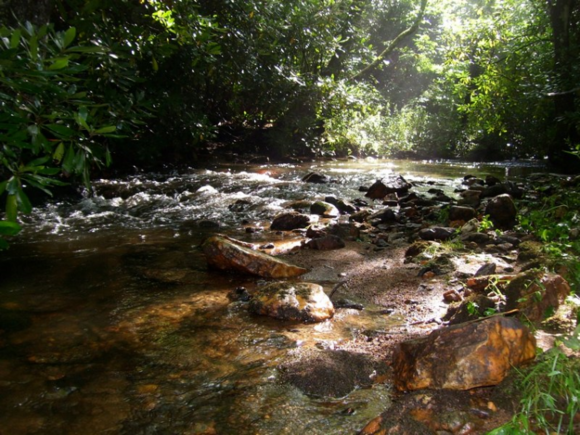 From this site, you can hear the rushing waters of Laurel Fork Creek. Though off the beaten path, this nature retreat is within easy reach of everything you need. Nearby, you find the historic Mabry Mill, wineries, award winning golf courses, restaurants, Primland Resort, art and music festivals including Floyd Fest, a medical clinic and the quaint towns of Meadows of Dan and Floyd. This land has it all! The land is unrestricted, recently surveyed, and has been perked for a four bedroom home. 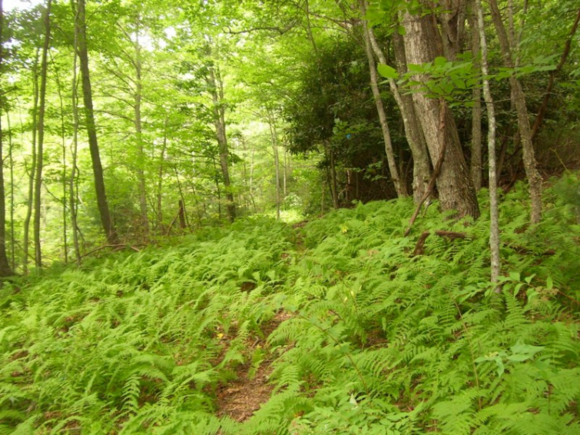 Make this your own, one of a kind, Blue Ridge Mountain nature retreat...the perfect escape. Possible owner financing. Shown by appointment. No drive bys please. The road is lightly traveled.